PATMAN, John William Wright, (father of William Neff Patman), a Representative from Texas; born at Patman's Switch near Hughes Springs, Cass County, Tex., August 6, 1893; attended the public schools; was graduated from Hughes Springs (Tex.) High School in 1912 and from the law department of Cumberland University, Lebanon, Tenn., in 1916; engaged in agricultural pursuits in Texas in 1913 and 1914; was admitted to the bar in 1916 and commenced practice in Hughes Springs, Tex. ; assistant county attorney of Cass County, Tex., in 1916 and 1917; during the First World War served as a private and later as a machinegun officer in the United States Army 1917-1919; member of the State house of representatives 1921-1924; district attorney of the fifth judicial district of Texas 1924-1929; elected as a Democrat to the Seventy-first Congress; reelected to the twenty-three succeeding Congresses, and served from March 4, 1929, until his death March 7, 1976, in Bethesda, Md. ; chairman, Select Committee on Small Business (Eighty-first, Eighty-second, and Eighty-fourth through Eighty-seventh Congresses), Joint Economic Committee (Eighty-fifth, Eighty-seventh, Eighty-ninth, Ninety-first and Ninety-third Congresses), Joint Committee on Defense Production (Eighty-eighth, Ninetieth, Ninety-second, and Ninety-fourth Congresses), Committee on Banking and Currency (Eighty-eighth through Ninety-third Congresses); interment in Hillcrest Cemetery, Texarkana, Tex. Papers: 1929-1976. 1,471 feet. Personal, business, and congressional papers and correspondence, including photographs, portraits, motion picture film, sound recordings, and memorabilia. Finding aid in repository. Oral History: August 11, 1972. 44 pages, 9 pages (2 tapes). Description in library. Oral History: February 4, 1976. 15 pages. Ballard, Jack L. "Wright Patman: The Representative." M.A. thesis, East Texas State University, 1979. Burke, Violette Mary. "Wright Patman and the Federal Reserve System: A Study in Congressional Oversight." M.A. thesis, Texas A & M University, 1974. Harrison, William B. "Annals of a Crusade: Wright Patman and the Federal Reserve System." American Journal of Economics and Sociology 40 (July 1981): 317-20. Montague, Gilbert Holland. The Robinson-Patman Act and its administration. 1937. 1938. 1945. Reprint Chicago: La Salle Extension University, 1958. Owens, John E. "Extreme Advocacy Leadership in the Pre-Reform House: Wright Patman and the House Banking and Currency Committee." British Journal of Political Science 15 (April 1985): 187-206. Patman, Wright. Bankerteering, Bonuseering, Melloneering. Paris, TX: Peerless Printing Company, 1934. ___. Complete Guide to the Robinson-Patman Act. Englewood Cliffs, NJ: Prentice-Hall, 1963. ___. History of Post Office: First Congressional District of Texas. Texarkana, TX: Wright Patman, 1946. ___. Our American Government, and How It Works: 1001 Questions Answered. New York: Scholastic Book Services, 1962. ___. Our American Government: The Answers to 1001 Questions on How It Works. 1948. 1954. Reprint. N.p. : Scholastic Magazines, Inc., 1958. ___. Patman's Appeal To Veterans. Paris, TX: Peerless Printing Company, 1934. ___. The Robinson-Patman Act: What You Can and Cannot Do Under This Law. New York: The Ronald Press Company, 1938. Ralph Nader Congress Project. 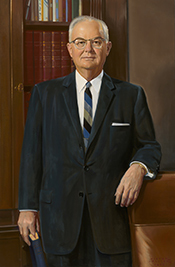 Citizens Look at Congress: Wright Patman, Democratic Representative from Texas. Washington, D. C.: Grossman Publishers, 1972. Schmelzer, Janet Louise. "The Early Life and Early Congressional Career of Wright Patman: 1894-1941." Ph.D. dissertation, Texas Christian University, 1978. ___. "Wright Patman and the Impeachment of Andrew Mellon." East Texas Historical Journal 23 (Spring 1985): 33-46. Sherwood, Edwin D. "Wright Patman and the Bonus Episode." M.A. thesis, Lamar University, 1988. U.S. Congress. House. Reception and Ceremony Commemorating the Commencement of the 40th Year of Service in the Congress of the United States by The Honorable Wright Patman, Chairman of the Committee on Banking and Currency. Remarks and Proceedings in the Banking and Currency Committee Room, Rayburn House Office Building, March 5, 1968. 90th Cong., 2nd sess., 1968. Washington: Government Printing Office, 1968. Washington Post. The Robinson-Patman Act: Its History and Probable Meaning. Washington: The Washington Post, 1936. Watts, David Alden. The Robinson-Patman Act. (paper presented before Chicago Bar Association, Chicago, IL, September 19, 1936), Chicago: The Foundation Press, Inc., 1936. Weintraub, Robert E. "Some Neglected Monetary Contributions: Congressman Wright Patman (1893-1976)." Journal of Money, Credit and Banking 9 (November 1977): 517-28. Werne, Benjamin, ed. Business and the Robinson Patman law. New York: Oxford University Press, 1938. Young, Nancy Beck. Wright Patman: Populism, Liberalism, & The American Dream. Dallas, TX: Southern Methodist University Press, 2000.